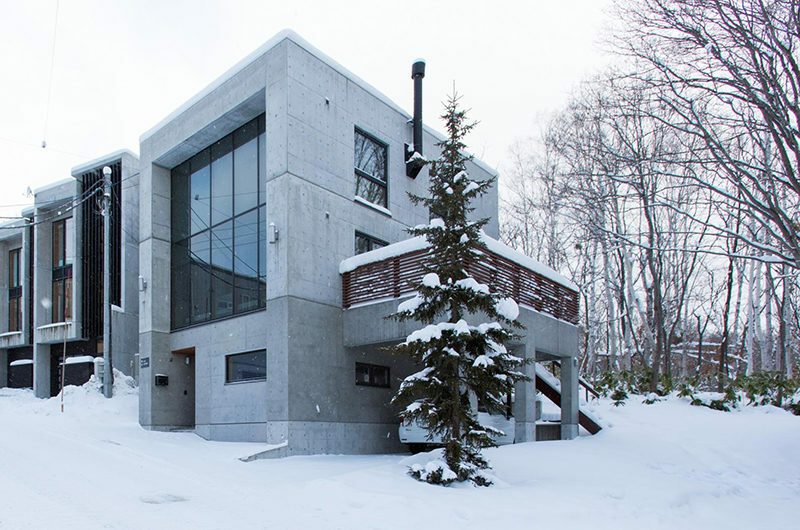 Kita Kitsune is a striking concrete chalet lined with full-wall windows looking out to the snow. 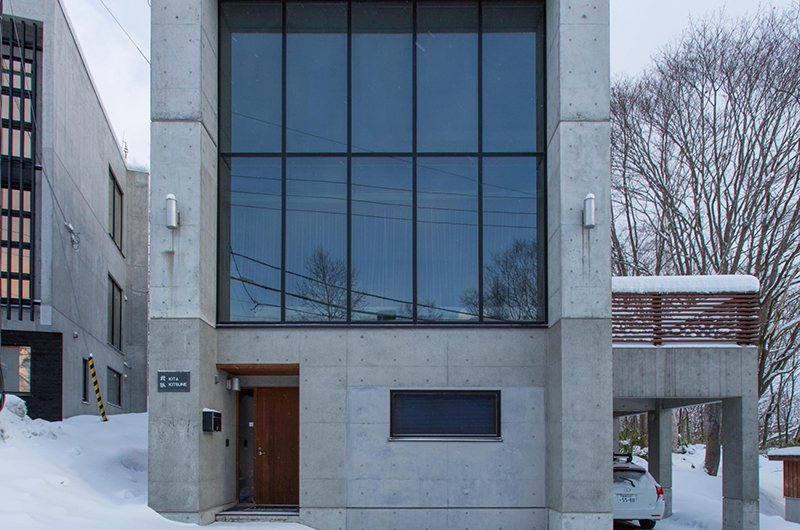 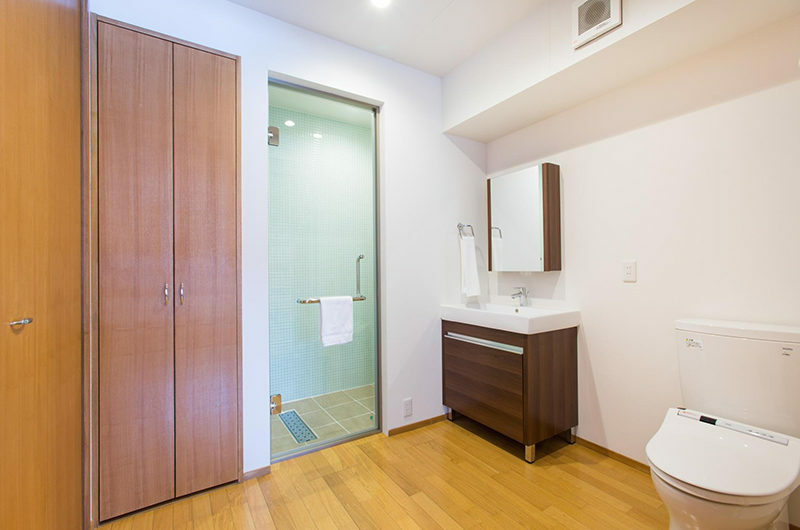 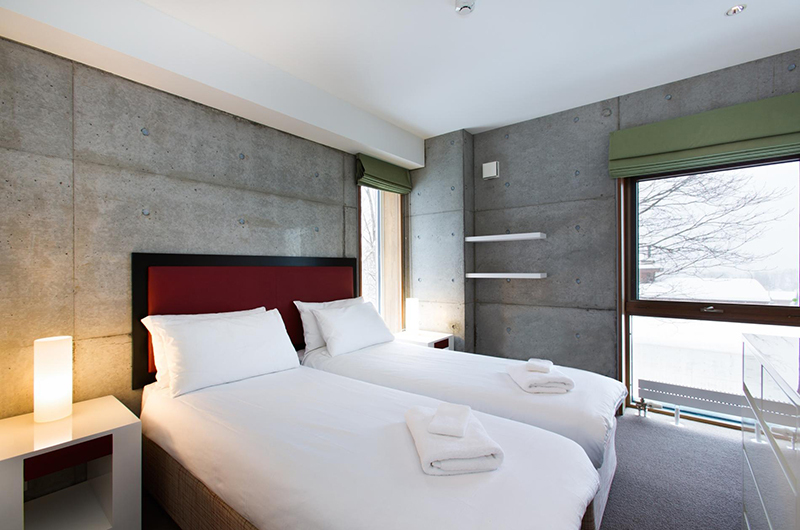 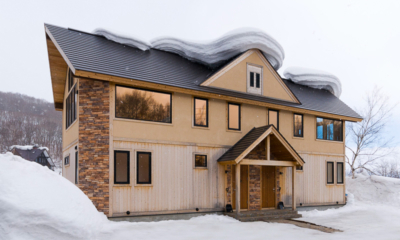 Kita Kitsune cuts a striking figure in Hirafu Village, with its rugged concrete exterior beautifully juxtaposed by full-wall stretches of glass. 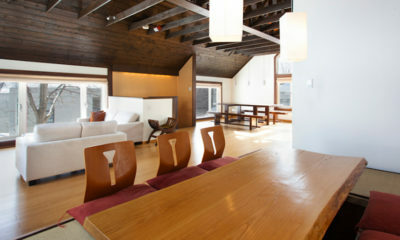 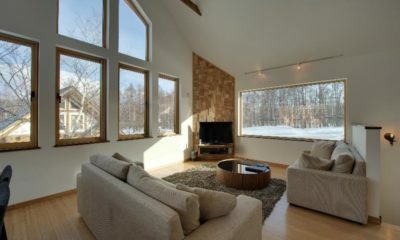 These huge windows flood the rooms with light and offer snowy views of the chalet’s surroundings. 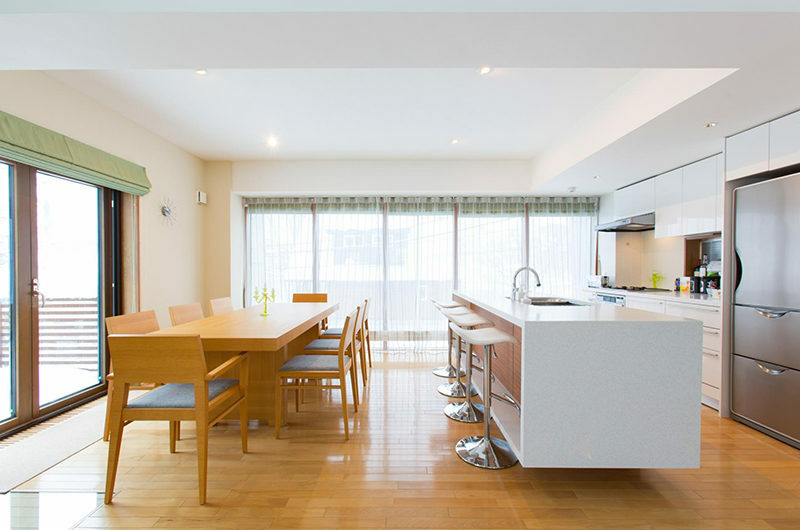 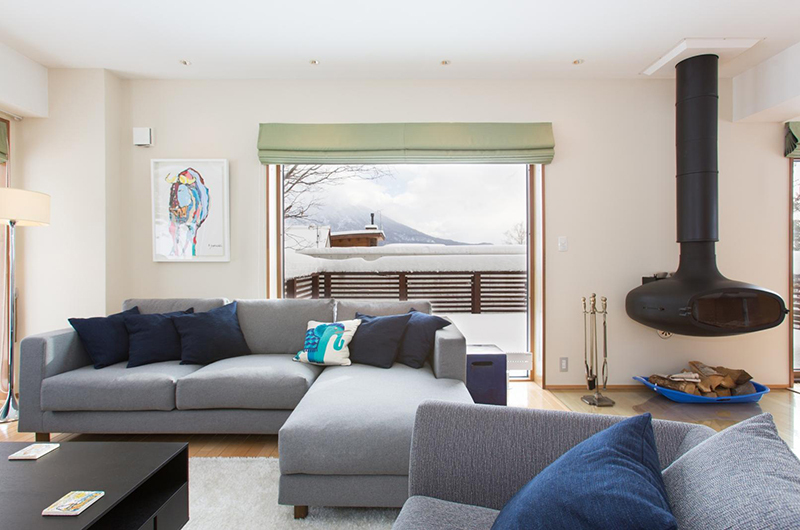 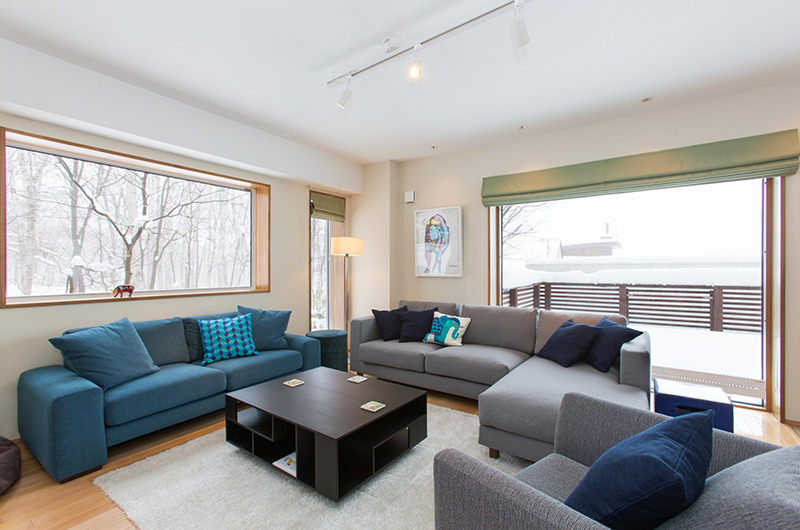 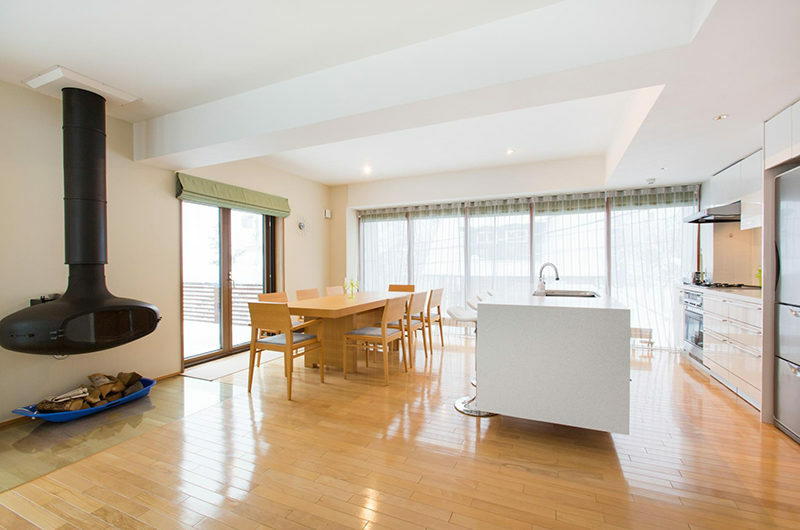 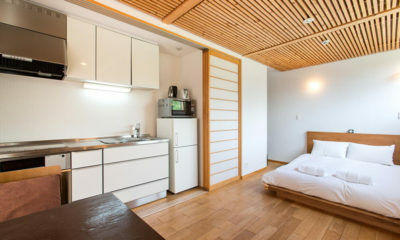 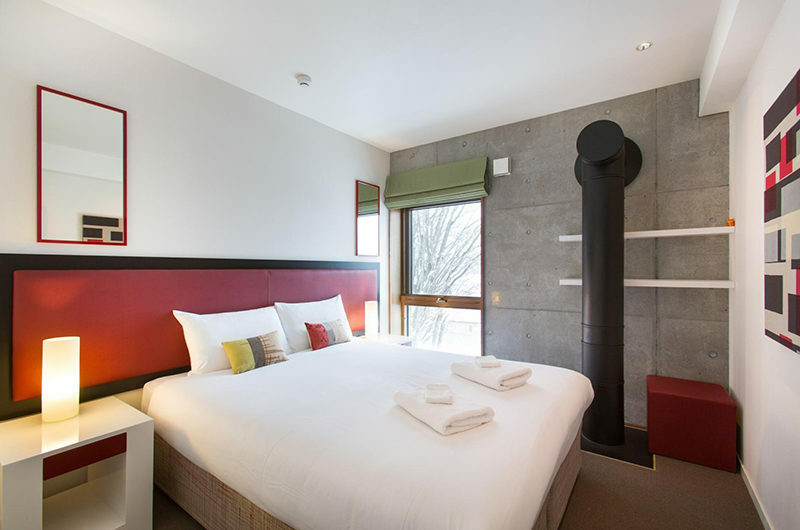 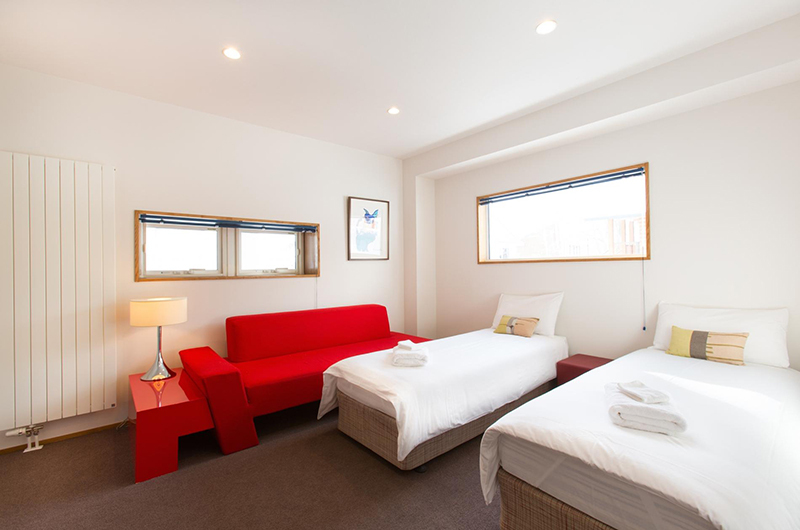 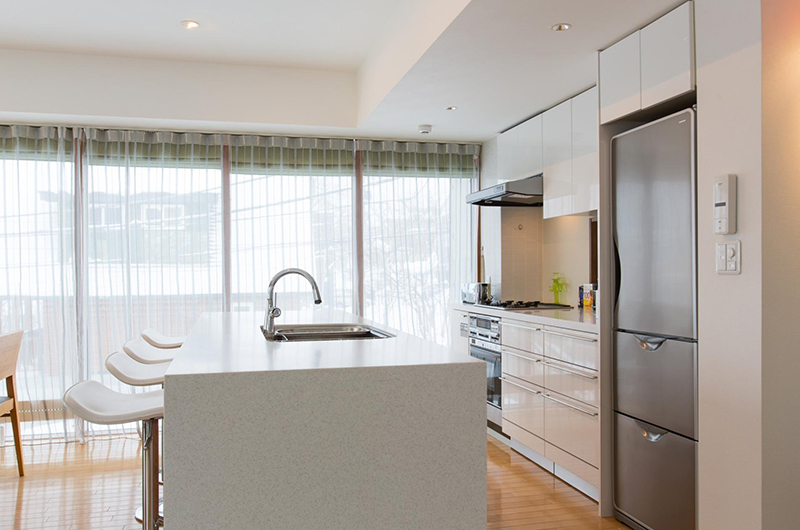 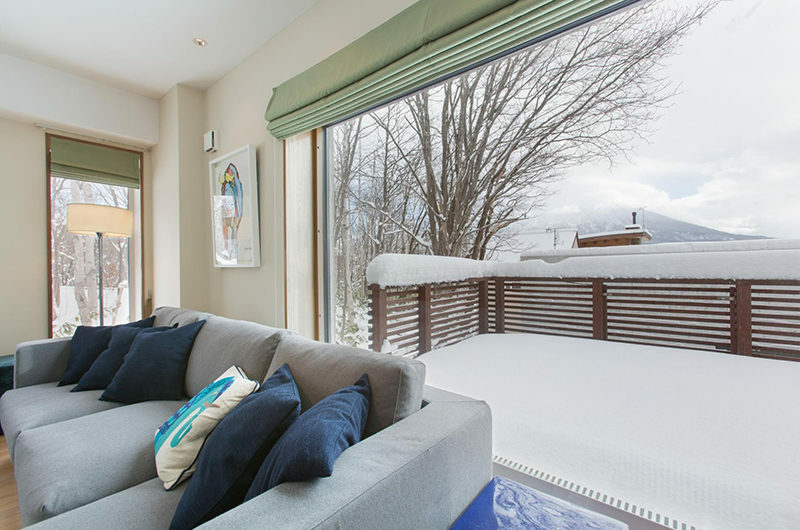 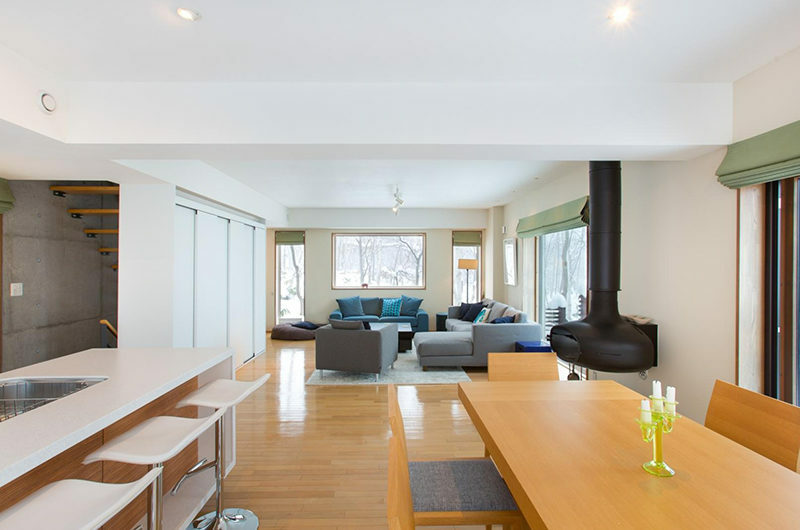 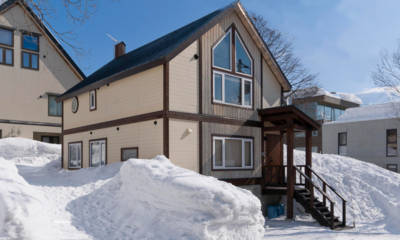 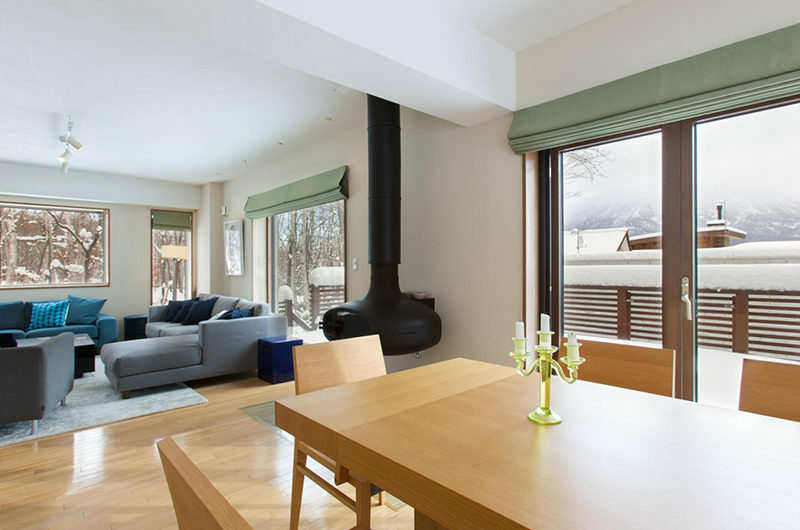 Kita Kitsune is decorated with modern furniture and fittings throughout, with mod cons including Apple TV, a secure ski room and an eye catching designer fireplace.